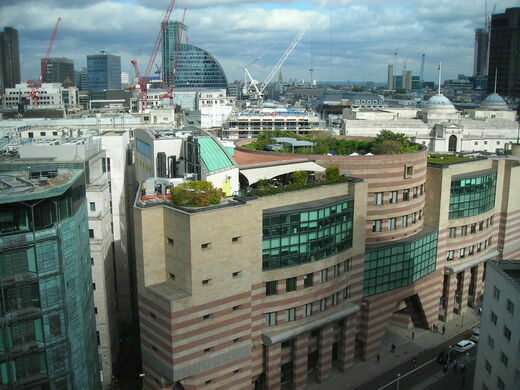 London's amazing modernist public square that never was. 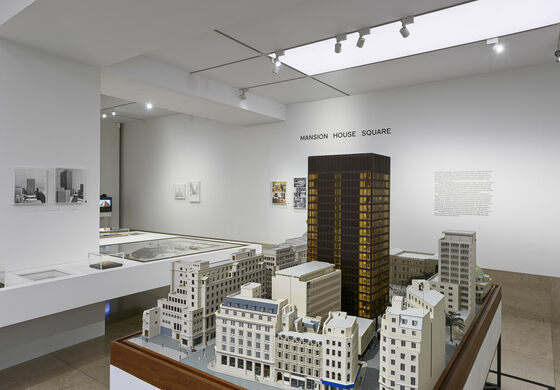 In 1962, a property developer commissioned renowned German-American architect Ludwig Mies van der Rohe to design a building for the area adjacent to the Mansion House, where the Mayor of London resides. 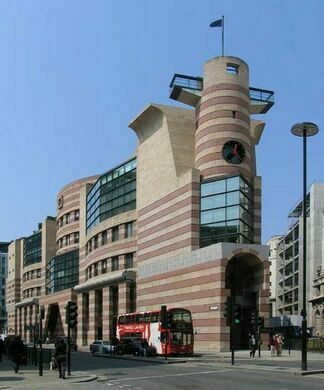 Unfortunately, the masterful design that the well-known modernist came up with never saw the light of day. A monolithic monument in Greater London. 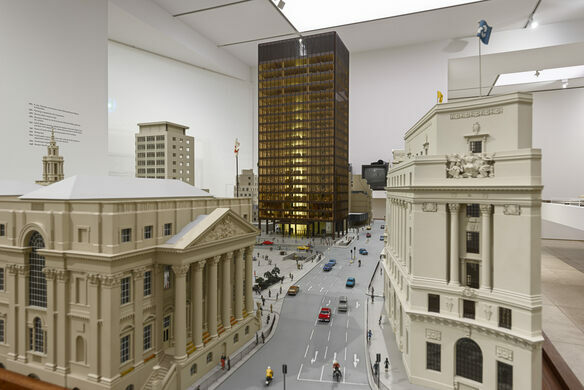 Rohe (famous for the Barcelona Pavilion and the Farnsworth House, among other buildings) envisioned an amber-tinted glass office tower, positioned to give some breathing room between the tower and Mansion House, and he designed a large and ambitious public space between the two. 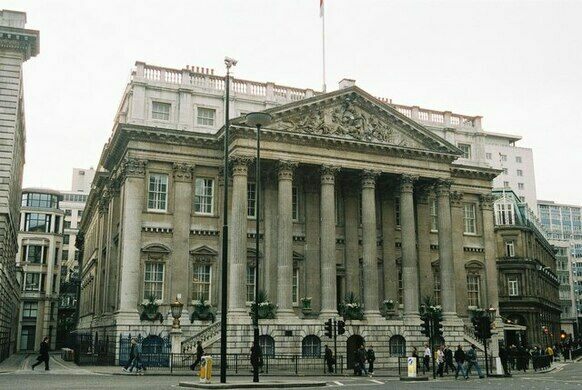 The space, dubbed Mansion House Square, was intended to be used by the mayor to hold public events, as well as for music festivals, concerts, flower markets, and exhibitions of all kinds. To simplify the traffic flow in that small pocket of London, the design planned to uncover the more sensible Roman-era grid of roadways that had been supplanted by chaotic medieval laneways in later centuries. The square also included an underground shopping center. When Rohe came up with all this in the ’60s (he died in 1969 while still putting the finishing touches on the design), it was a friendlier time for such ideas. Unfortunately, it took so long for the project to come to fruition, the powers that be had a change of heart. 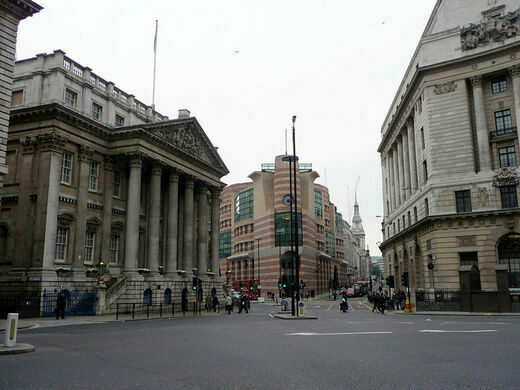 In 1984, Prince Charles referred disparagingly to Rohe’s office building design as a “giant glass stump.” What’s more, the sometimes-violent riots and protests of the 1980s that filled public spaces like Trafalgar Square made policymakers hesitant to give large crowds more space in which to demonstrate.